Dr. Guenena was born in Cairo, Egypt. He graduated from high school as class valedictorian, then attended medical school at Cairo University with honors in the 10 percent of his class. He moved to the United States to complete his medical training with a research cataract and refractive fellowship at Storm Eye Institute at Medical University of South Carolina where he helped in advancement of premium cataract lenses and LASIK surgery. 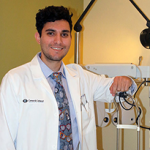 He then moved to Dallas, Texas where he completed his ophthalmology residency and a two-year cornea fellowship at the University of Texas Southwestern maintaining the top 10 percent ranking among ophthalmology residents evaluation across the country. 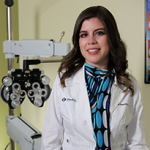 Dr. Guenena has authored and presented more than 30 papers in national and international ophthalmological meetings and remains active in clinical research. He is a member of the American Academy of Ophthalmology and American Society of Cataract and Refractive Surgery. He specializes in corneal transplant surgeries, advanced cataract surgery with premium lenses and laser vision correction. In addition to being a comprehensive ophthalmologist managing various medical eye conditions including glaucoma, diabetic eye disease, dry eye syndrome and severe eye infections. He is American board eligible and has medical privileges at UMC, Sierra and Providence Hospitals. Outside work, he is married and a father of 3 girls who keeps him busy but he enjoys running and traveling to explore different cultures. He speaks English, Arabic and Spanish. To Schedule An Appointment With Dr. Guenena Or Any Of Our Doctors Call 915-261-7011.